Who says that setting your imagination free and expanding your knowledge can’t be done in style? Books are a necessity of life, and in a world dominated by screens, it’s still a relief for your eyes to get some rest. To compete with the ebook rising, these bookstores have upped their game, and we’re pretty sure they’ve won this round because each of these shops are to die for. 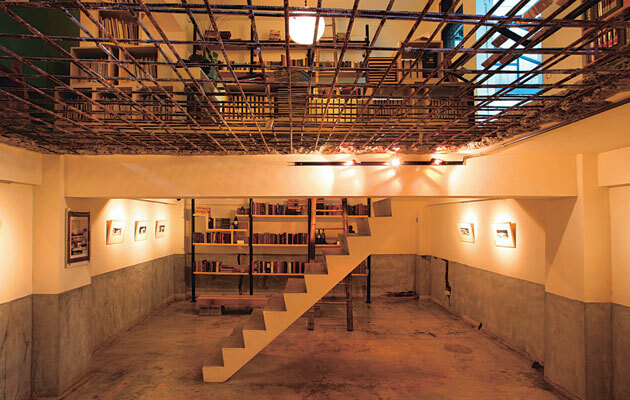 With cafes, two story book cases and even art adorning the walls, how could you possibly say no? 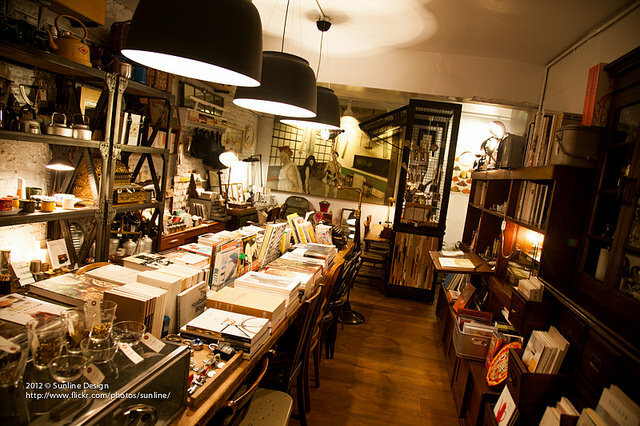 Located in Dongqu in Taipei, VVG was ranked by Flavorwire in 2012 as one of the top 20 most beautiful bookstores in the world. With a dimly lit interior and rustic decorations accompanied by many potted plants, VVG not only sells assorted books on cooking to photography but also dainty stationery or accessories. Hoping to create an environment that helps enhance the experience of reading, Tsao Chi has established itself as one of the most unique bookstores in Taiwan. With some of the floor removed between the first floor and the basement, a two story bookshelf reaches up through both floors, with a large bamboo ladder to reach the top of the giant bookcase. A wire net also stretched across some of the floor, opening up the space and allowing you to see into the basement from the first floor. English and Japanese readers will be pleased to know that Tsao Chi also stocks lots of original English and Japanese books in their wooden shelves made of boxes. The image of a library will always be the same—the fluorescent lights, metal shelves and grumpy librarians—but Boven was created by three book lovers intent on flipping the stereotype upside down. As the first themed library to open in Taiwan, Boven makes staying inside quite easy thanks to its interior design and comfortable couches. With more than 2,000 novels and magazines available, it’s a soothing environment to get lost in the words of a writer. If you find it too hard to leave, the couches are available for purchase to take home! A combination of books, art and food all in the same place is a rare find, which Escents offers. Shadowed under an old mango tree, Escents is connected to Sonnentor Cafe, which sells set meals as well as organic breads and products. This three in one deal is amazing as the urban rustic atmosphere is extremely cozy, allowing you to have a lazy afternoon of coffee, sandwiches and a good book. If you are a travel addict, a travel nut or have a serious case of wanderlust, then Zeelandia Bookshop will satisfy all your cravings. Themed around traveling, Zeelandia’s bookshelves are chocked full of books covering every location in the world you could possibly imagine. If you’re simply just visiting the Taipei area, drop on by to fill out a postcard, which the store will happily send to the other side of the world for you. Fembooks is historic, selling novels dealing with gender issues, women’s rights and creating a space in which women’s voices and experiences can be heard and shared. 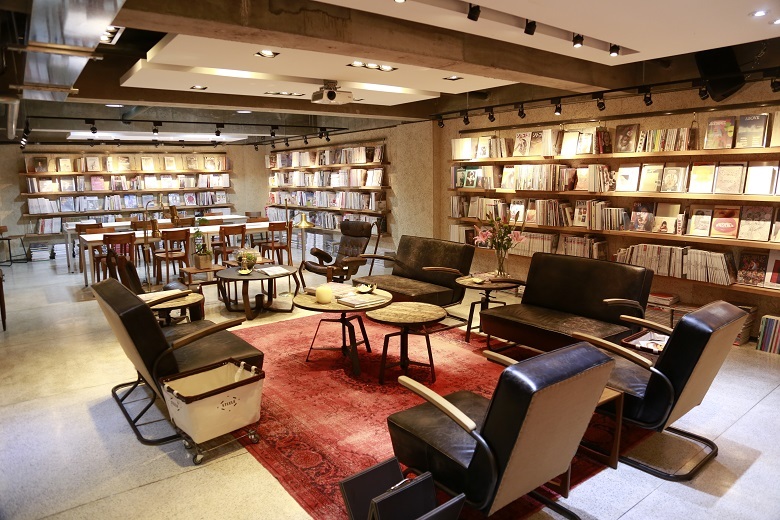 The first of its kind to open in Taiwan in 1994, the bookstore creates a lovely experience—surrounded by women’s literature with a cup of coffee in the cafe that is connected to the main store. 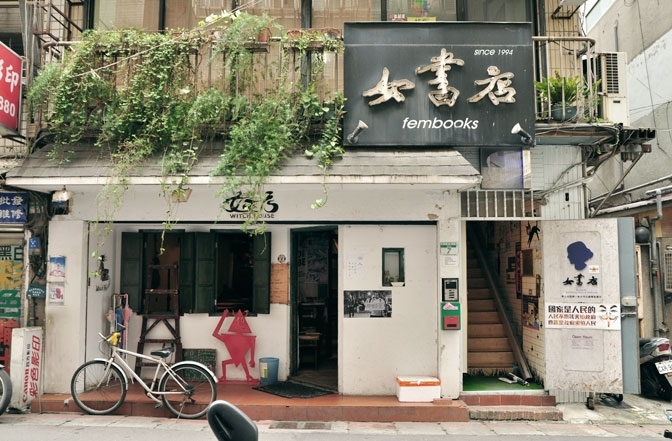 If you’re strolling down the side of Danshui river, you’ll spot the cute You He Bookshop and its bright blue interior. 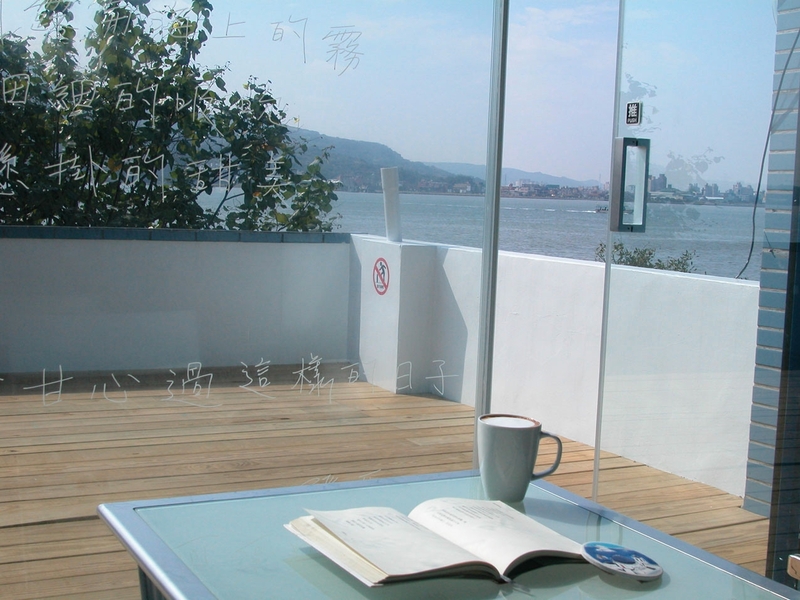 With a lovely view onto Danshui River through the glass windows written with poems and quotes and the upstair balcony area, the bookshop is covered in colorful wall paintings matching the colorful books that it stocks. If you’re lucky, the cats of the shop are sometimes out to play. Murder Ink bookstore in Dadaocheng lives true to its name, as its shelves are completely stocked with murder and mystery novels. Separated into two floors, the first is mainly dedicated to a cafe with typewriters and comfy armchairs that can only remind one of Sherlock Holmes. If you fancy taking on the role of the detective, Murder Ink is also filled with many British or Japanese detective novels among the usual Chinese mystery books. As you walk by Bookstore For Beginners, you’re bound to be intrigued by the edgy building and the colorful mural that stands beside it. Although the bookstore doesn’t stock as many books as other bookstores, it makes up for it with its cute and design-orientated decorations. With a goal of providing a comfortable and beautiful reading space, Bookstore For Beginners does just that. A bookstore located in the countryside is a somewhat weird idea, but that’s what makes Lifestyle Bookcase so interesting. Divided into several little huts and surrounded by green farmland, Lifestyle Bookcase has both a dining area and a reading area. 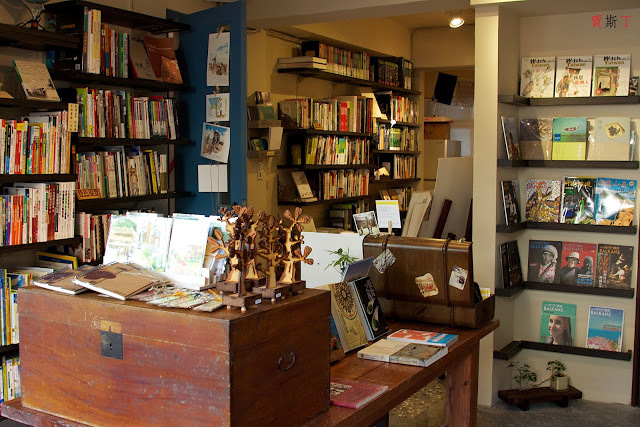 Books are set upon wooden shelves, and the bookstore also has a large array of postcards. Take a look through the uniquely designed postcards, such as some dedicated to illustrations of Taiwan food, and it’s almost a sin to not buy a few on the spot. Don’t forget the Taiwan Bookstore near NTU (almost next door to Fembooks) that sells books, T-shirts, maps, DVDs and music about one subject: Taiwan.